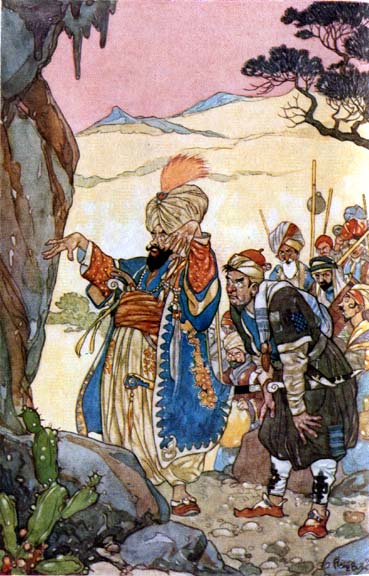 Though this version of the story is titled, The History of Ali Baba, and of the Forty Robbers Killed by One Slave, we chose to use the shorter and more familiar title, Ali Baba and the Forty Thieves. 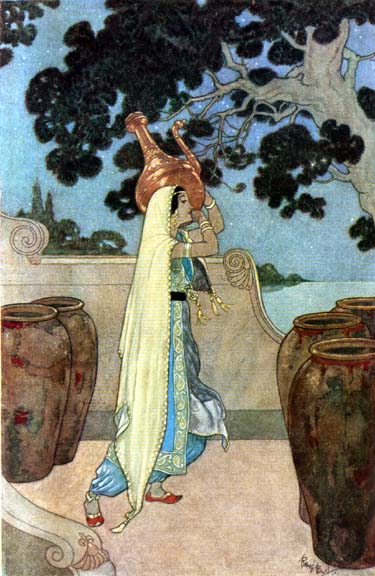 The story has been told in many versions, with slight variations in title and detail. 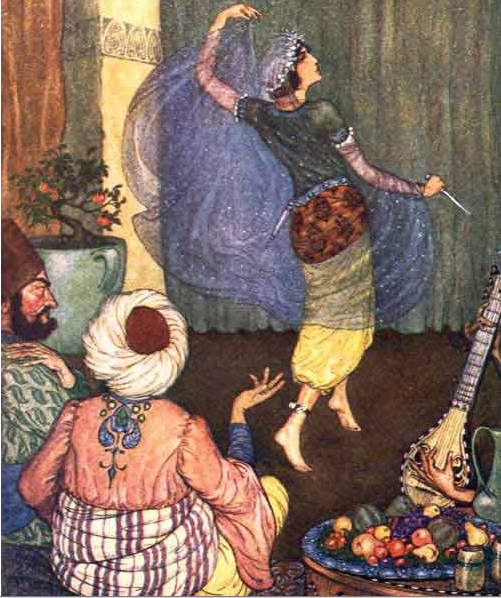 We've chosen the Arabian Nights, Windermere Series, illustrated by Milo Winter (1914). This story probably did not appear until the European translations, notably by Antoine Galland (1704 and 1717). 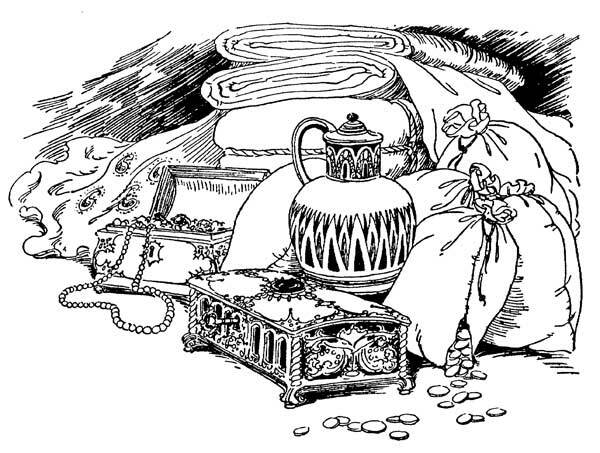 Add Ali Baba and the Forty Thieves to your own personal library.